For years, Batman and Commissioner Gordon have stared into the unyielding black abyss that is Gotham City. Time after time, they’ve saved their beloved city from itself, not allowing it to be swallowed by a pit of violence and corruption. But even after a crime-fighting lifetime of confronting what they thought was the worst humanity had to offer, an even darker and more dangerous evil pushes Batman and Gordon to their limits. As the conflict comes closer to its resolution, they find that the truth behind this murderous crime spree isn’t just careening toward their doorstep—it has in fact emerged from it. Can two of Gotham’s proudest protectors bring justice to this malevolent threat in Commissioner Gordon’s most personal battle to date? 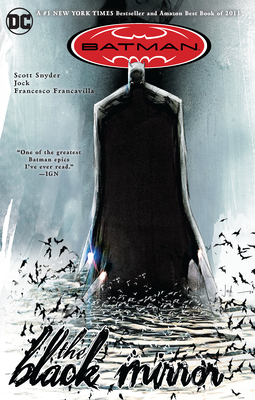 Eisner Award-winning writer Scott Snyder launches into comics superstardom with his #1 New York Times best-selling debut work on the Dark Knight. This volume collects Detective Comics #871-881.